Gunner is a handsome and excellent moving male with a wonderful outgoing temperament. 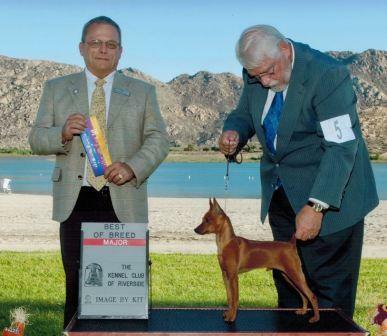 He finished quickly from the 6-9 class going Breed over a top ranked min pin. 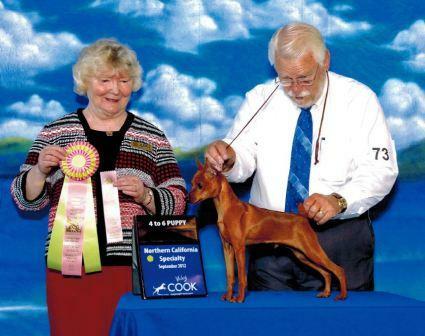 We expected great things from Gunner, but had to cut back our showing of him due to an injury.